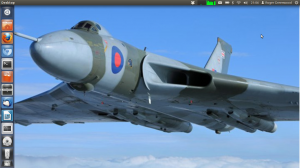 The only flying Avro Vulcan XH558 needs our help again. Buy some stuff here. Would look (and sound) better in the air. First flew in 1952 so 2012 is it’s diamond jubilee. Designed (initially) by Roy Chadwick (of Avro Lancaster fame) and yet took to the air only 12 years after the Lancaster. An amazing bit of British engineering, which gladly never had to carry out it’s grim primary mission. Stretch the profile along the length and see the Concorde (really – it is uncanny).